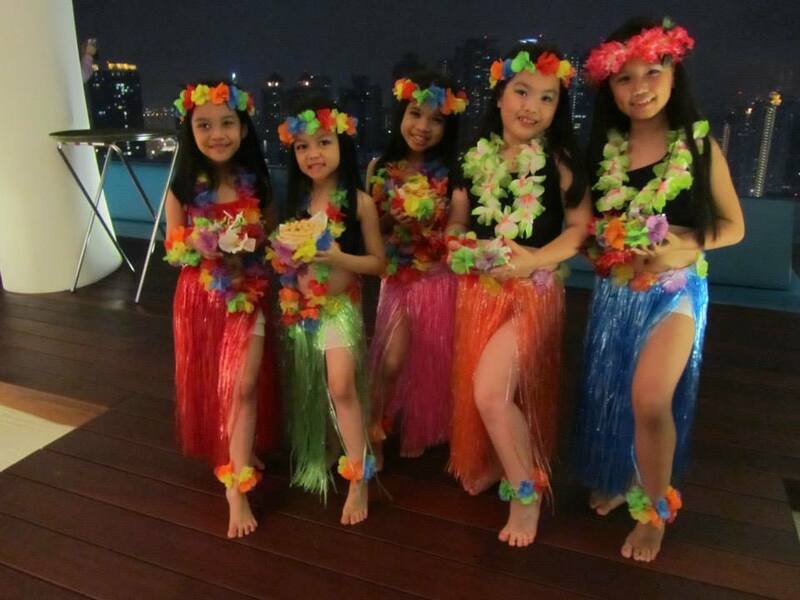 5 little Primary and Grade 1 modern students dressed in Hula style charmed guests as they swayed and sashayed to the tune of Pearly Shells. The "beach party" on Halloween night took place on the rooftop of the Verve. a new residential development located on the fringe of the capital city Kuala Lumpur.